In an increasingly competitive marketplace businesses cannot afford to carry any additional weight that doesn’t help them to succeed. So how does having a diverse workforce further a company’s goals? Diversity recruitment is one of the hottest topics in corporate America today. The latest census results firmly established that the ethnic make-up of the U.S. is changing at a rate faster than anyone has anticipated. Corporate America is already aware of the changing demographics; in fact many corporate front-runners established diversity initiatives back in the mid-90s. More than a decade later, the bottom-line results have not been measured in dollars, but rather in the demographics of women and minority recruitment, retention, and supplier diversity. A diverse workforce can provide tangible benefits to a company besides just fulfilling legal compliance and good faith efforts. In fact, as markets expand globally being able to understand and reach out to the individual needs of people from other cultures and regions will be paramount. 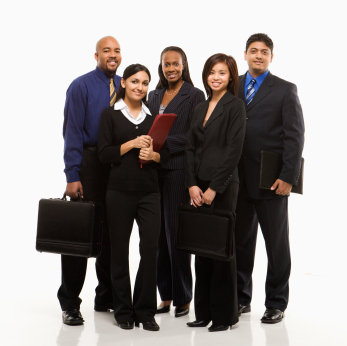 A multicultural, talented, and trained employee base gives companies that key advantage. Adaptable – A work environment open to diversity remains flexible and favorable to employee innovation. Employee Retention – A workplace that emphasizes interest and concern for its employees as people first is able to attract a higher-quality workforce. Continuous Quality Improvement – An environment where employee talents are valued will help to continually improve quality. One of the many statistics used to bolster this finding was a study, by Covenant Investment Management, which rated the performance of the Standard and Poors 500 on a series of factors relating to the hiring and advancement of women and nonwhites. In another report, Competitiveness Through Management of Diversity: Effects on Stock Price Valuation, found that firms that received Department of Labor awards for their success in implementing voluntary affirmative action policies are rewarded for their success with a boost in their share price within 10 days of the announcement. Meanwhile, while big business can afford large-scale studies, what about small business? According to Dr. Edward E. Hubbard, author of Measuring Diversity Results and How to Calculate Diversity Return on Investment, while diversity performance can be challenging to measure because such things as creativity, work team productivity, and innovation cannot truly by measured in numbers, nevertheless the presence of diversity impacts individuals, teams, organizations, customer markets, and communities at large. According to the Society for Human Resource Management (SHRM): Diversity initiatives can improve the quality of an organization’s workforce and be the catalyst for a better ROI in human capital. Customer bases are becoming more diverse than the workforce. Minorities are the majority in six of the eight largest metropolitan areas of the U.S. The combined Black, Hispanic and Asian buying power is more than $750 billion. Women are the primary investors in more than half of the U.S. households. The financial rewards of appealing to a more-diversified customer base are significant. Women purchase 70 to 80 percent of all products; African Americans spend nearly $500 billion each year on goods and services; and Hispanics are the fastest growing consumer groups in the United States. A reputation for fair treatment is one of the primary reasons women and minority consumers say they remain loyal to a company. The bottom line is that diversity is profitable especially in a society which by the year 2050 will be evenly split between whites and nonwhites.